Our building specialists at Suncoast Bathroom Renovations have been committed to providing premium bathroom renovations for clients throughout Newcastle, Lake Macquarie, Port Stephens and the Hunter region for over a decade. With more than 28-years building experience, you know when you contract Suncoast Bathroom Renovations for your building project, you are assured of receiving quality workmanship and efficient service. Family owned and operated, we are a husband and wife team who pride ourselves on offering superior service and the highest quality workmanship in Newcastle renovations and alterations. Fully licensed and insured, we have the expertise to tackle builds of any scale, and we also provide home warranty insurance for projects exceeding $20,000. As an additional service for our client's we will assist with colour selection and products for your fit-out on request. We are also able to offer you a competitive trade discount through our recommended suppliers. Scotty Broomfield is a licensed builder with over 13 years experience. He started Chisel Constructions Pty Ltd in 2007 and has discovered an overwhelming demand to repair leaking bathrooms, and is doing on average, 30-40 a year. Over the years Scotty has became familiar with the common building practice faults which were over looked when these bathrooms were being built. This has led to the decision to focus more on bathrooms. Having this perspective Scotty has gained a great deal of knowledge in avoiding issues which can arise years down the track to ensure your bathroom will look good, function well, add value to your home and last. Some of the key lessons learnt over that time include: Using the best solvent based waterproofing products to allow maximum flexibility to withstand building movement, Adding moisture resistant modifiers to our cement screeds, glues and grout to resist moisture penetration Resist mould growth Using professional tradesmen that can be relied on. Bathroom renovations require many tradies, which can be confronting. These include carpenters, waterproofers, tilers, plumbers, electricians, plasterers and painters. Scotty from Chisel Constructions works with a select group of professional experienced tradies that he trusts and has used for years. He will manage and schedule them to work with you to reduce the amount of interruption. With over 20 years experience in business, Maxwell Tiling is a regional success story in Bateau Bay. 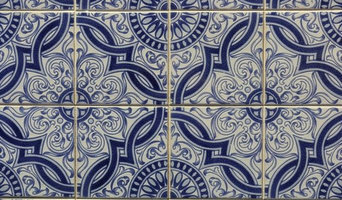 The company represents a team of professionals who are highly skilled and qualified in all aspects of tiling services. With countless successful projects since it was founded, Maxwell Tiling’s team always finish their projects within the agreed time frame. No matter the size of the job, Michael and his team will take care of your every need and will ensure that your project is completed to the highest of standards at a competitive price. A wealth of experience along with a long list of satisfied clients means you can rest assured you are dealing with a quality and reliable business. Call today for a no obligation FREE quote! stonemasons and designers of quality stone benchtops for your home, with attention to detail and excellence in Service and Style . We can turn your ideas into reality either an upgrade of your existing kitchen tops and splashbacks or a brand new home. 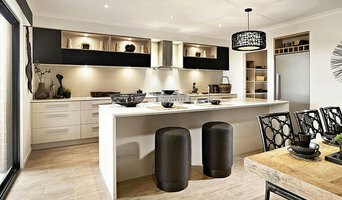 Bathrooms , outdoor kitchen areas ,fire surrounds the list is extensive with what you can achieve with natural marble or granite or man made stone such as Ceasar Stone or Quantum Quartz . The result you want at a price you can afford. Call to arrange a Free in home consultation . Bliss Tiles & Bathrooms opened it's doors in 2011 with our first showroom located at Heatherbrae NSW on the Pacific Highway. Our Story began with a group of passionate tradesmen who saw an opportunity to pass on years of experience and knowledge in the building industry to the public. Our focus is on delivering excellent service and professional advice to our growing client base. We are determined to develop a great working relationship with you, no matter what the scale of your project. With years of experience in the building Industry we are committed to you and your vision, and we will go to great lengths to meet your expectations. For over 30 years we have been constructing, renovating and rejuvenating bathrooms and laundries. With an eye for aesthetics and a practical approach to layout and design, Newcastle, New South Wales bathroom designers and renovators can help you create a well-planned space that suits both your needs and personal preferences. 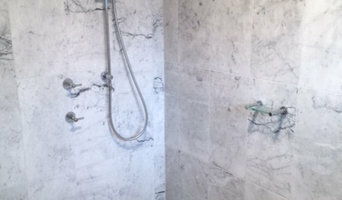 Many bathroom renovators in Newcastle, New South Wales offer a full-design service, from concept to completion. This includes accessing the homeowner’s wants and needs to ensure they provide a functional layout and design that is also attractive and blends in with the rest of the home. In addition, designers have a wealth of knowledge in product trends, materials and finishes, and can take the hassle out of deciding upon and sourcing accessories and hardware. Find a bathroom renovator on Houzz. 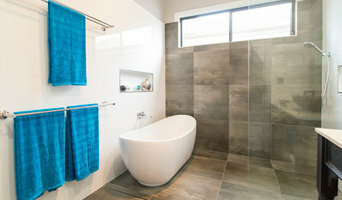 Scroll through this page to find the best bathroom renovators in Newcastle, New South Wales. Browse photos to see how their work compares to the scope of your project, read reviews to see how others rate their work, and message them directly to to ask any specific questions.